We find ourselves in the enviable position of having TWO beautiful Broadway EBs in stock AT THE SAME TIME. 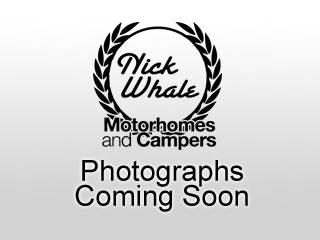 Take advantage of the Nick Whale stock fecundity and grab a massive £3,000 discount. 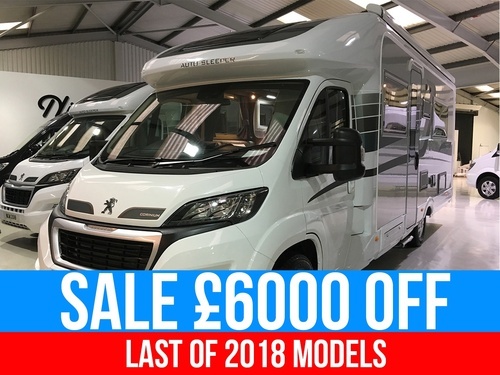 This is truly a one off opportunity, when its gone its gone! 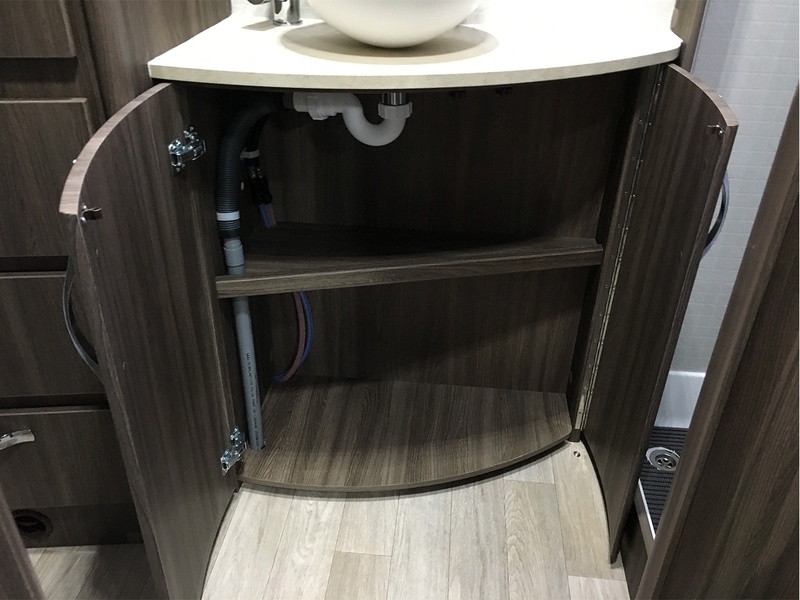 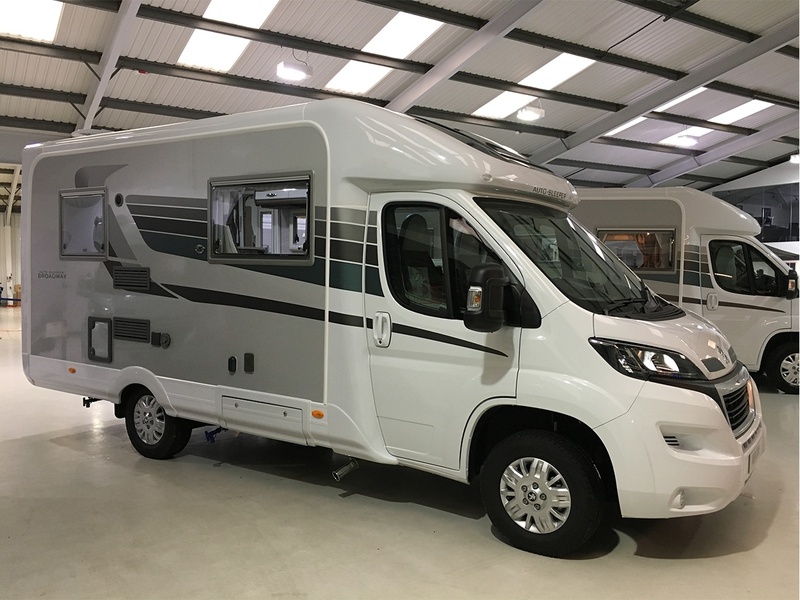 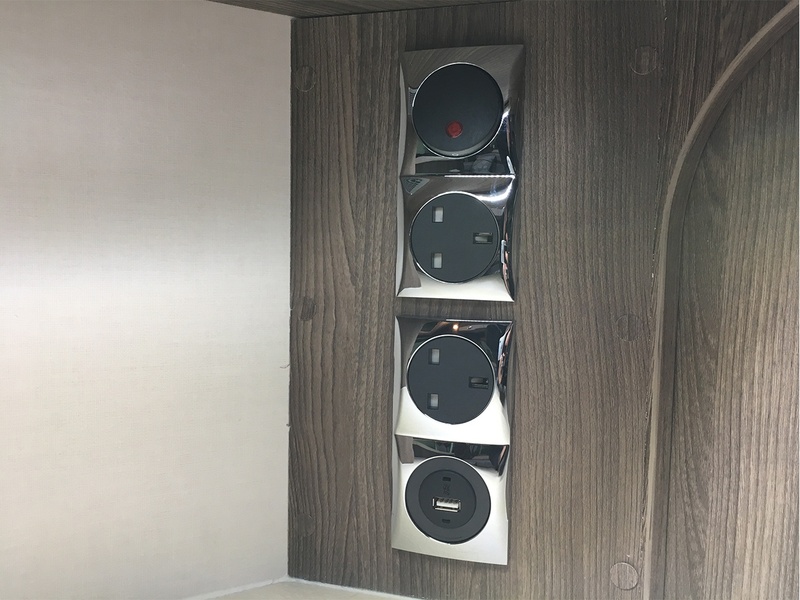 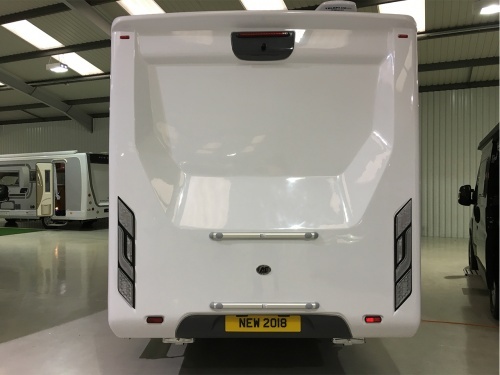 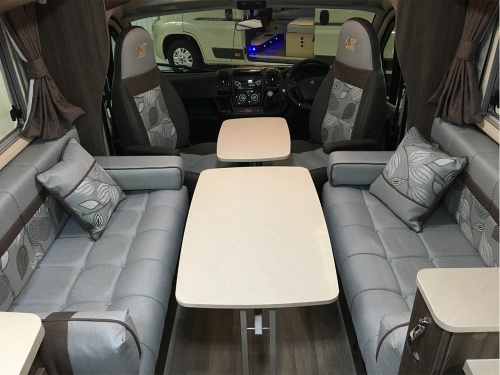 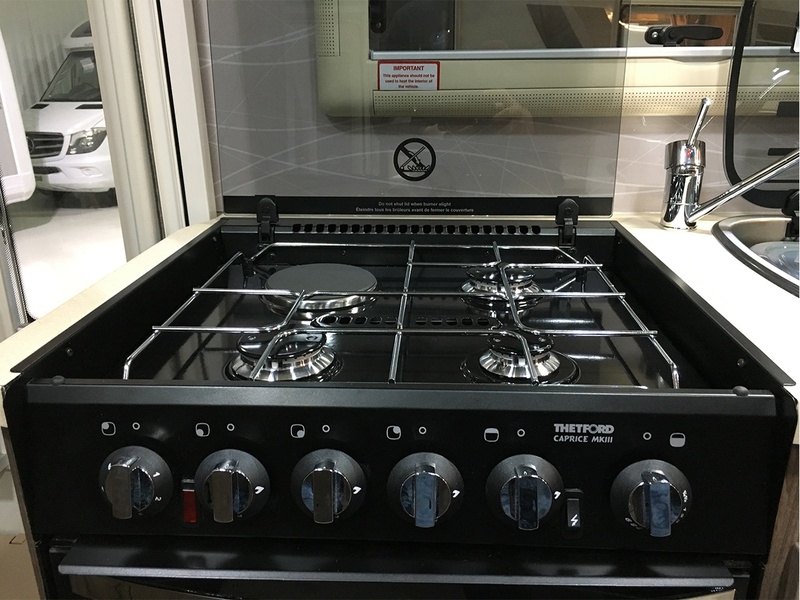 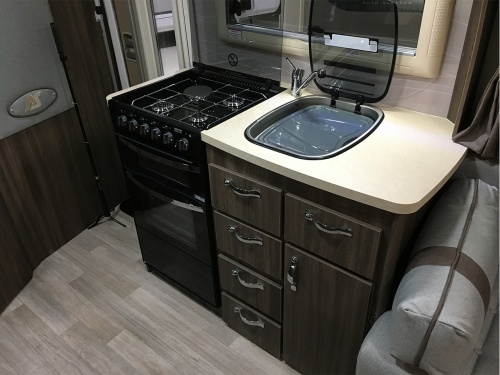 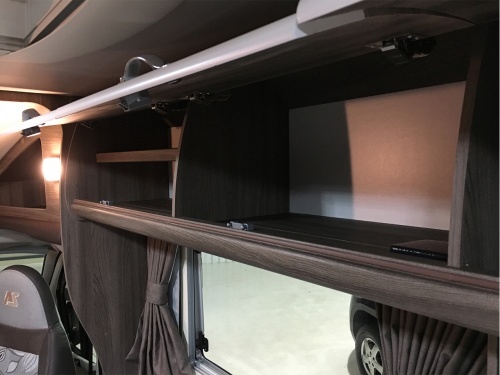 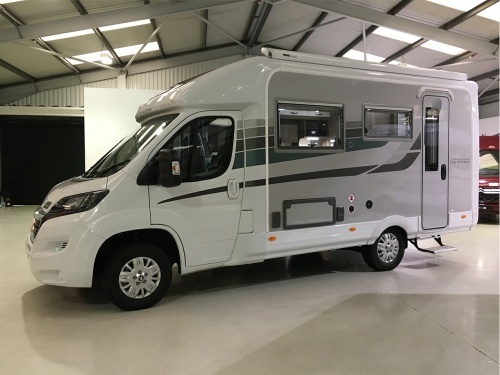 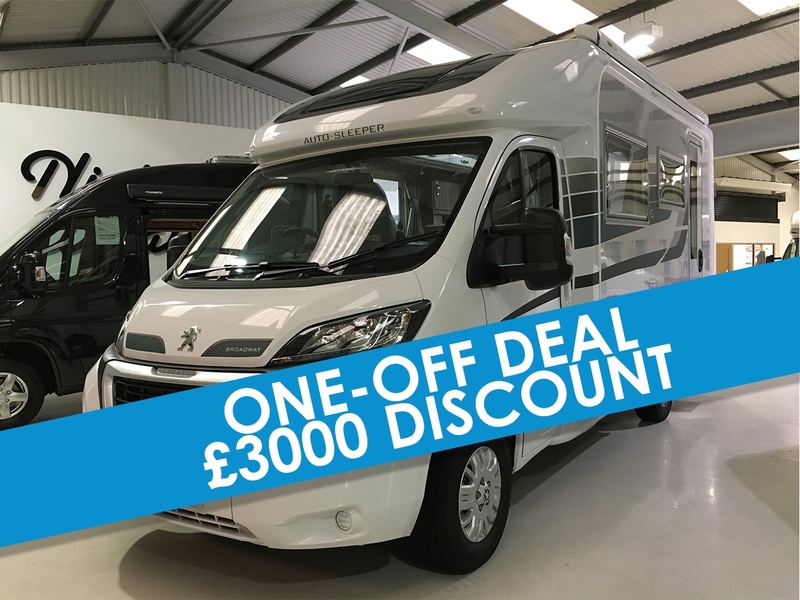 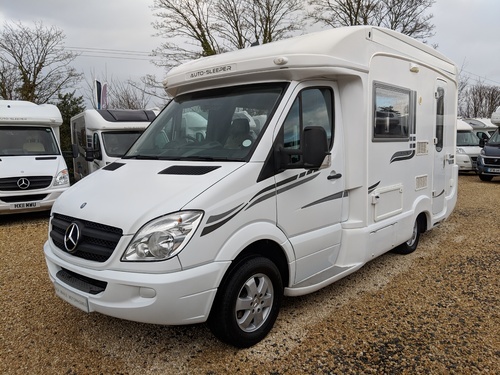 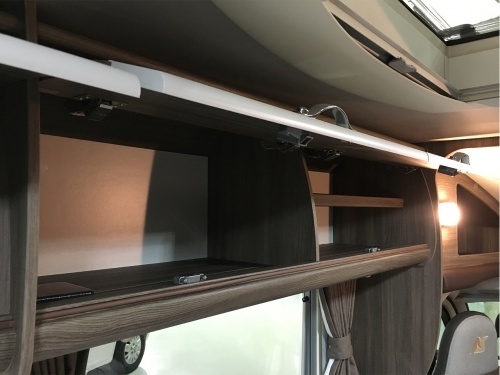 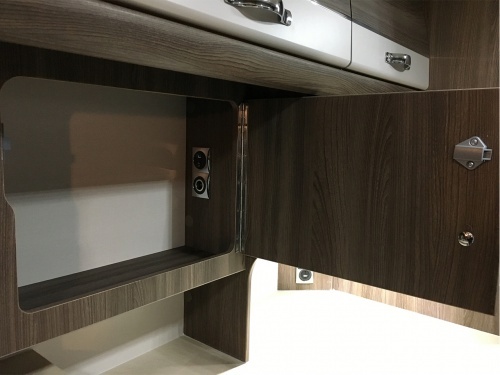 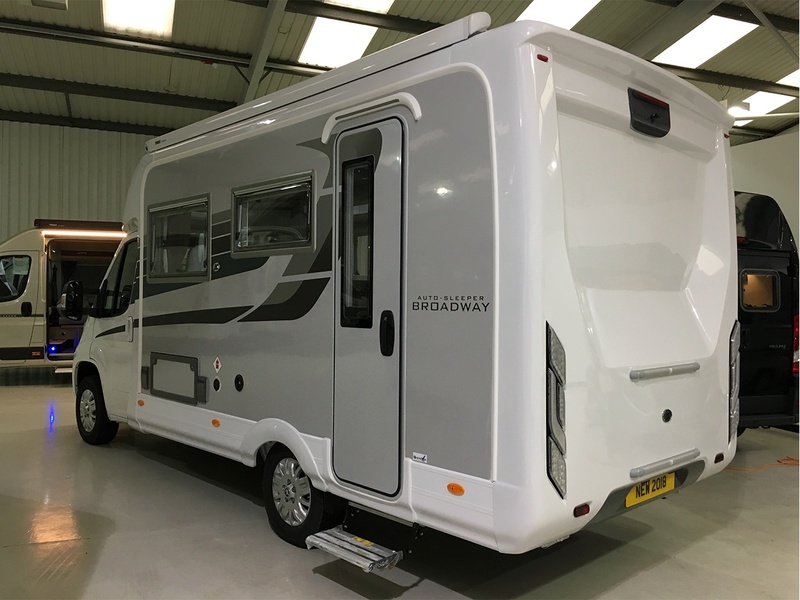 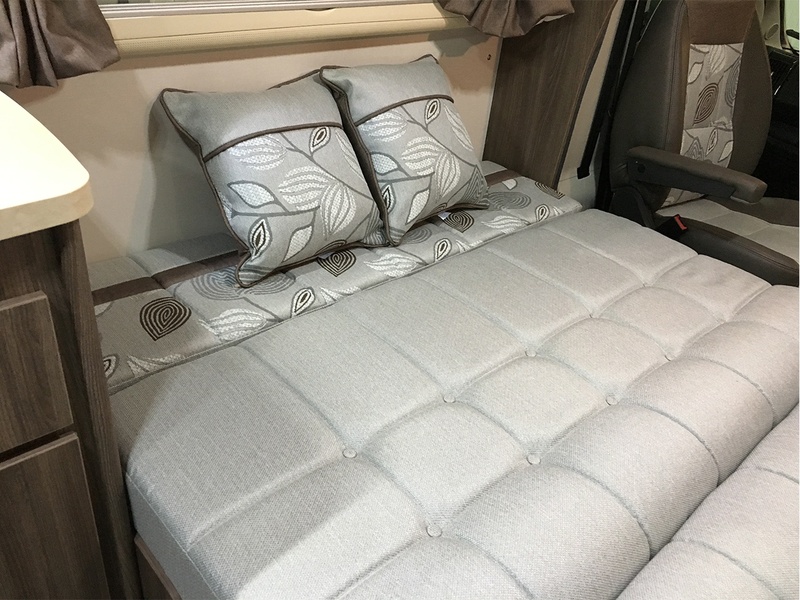 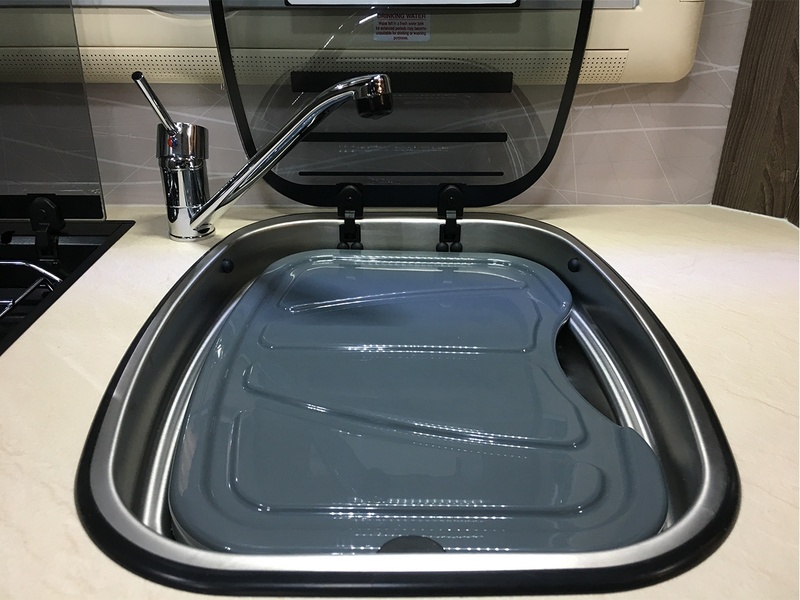 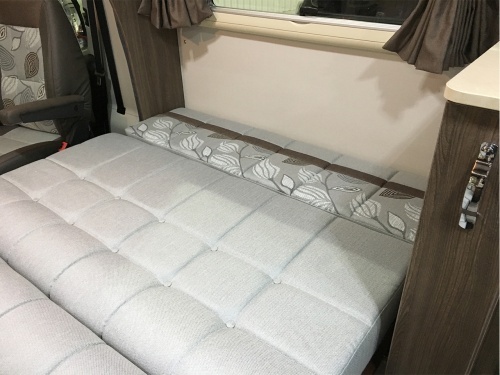 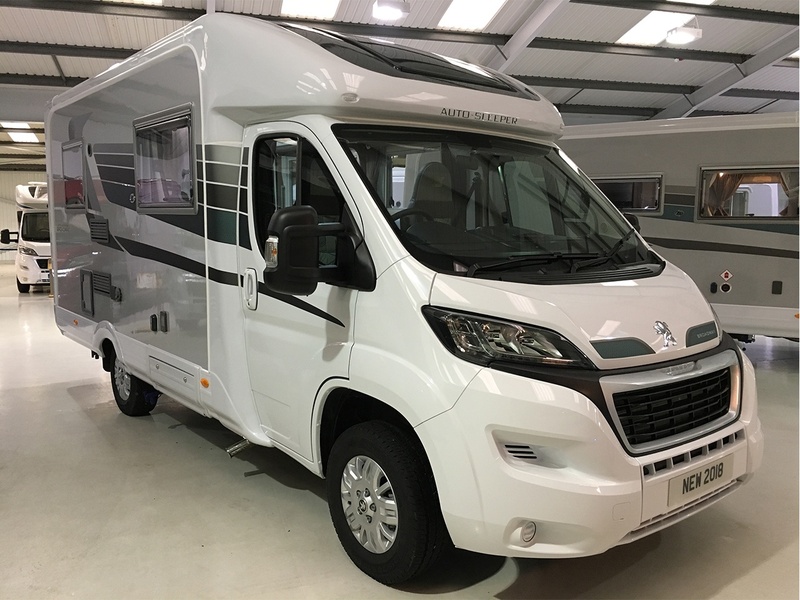 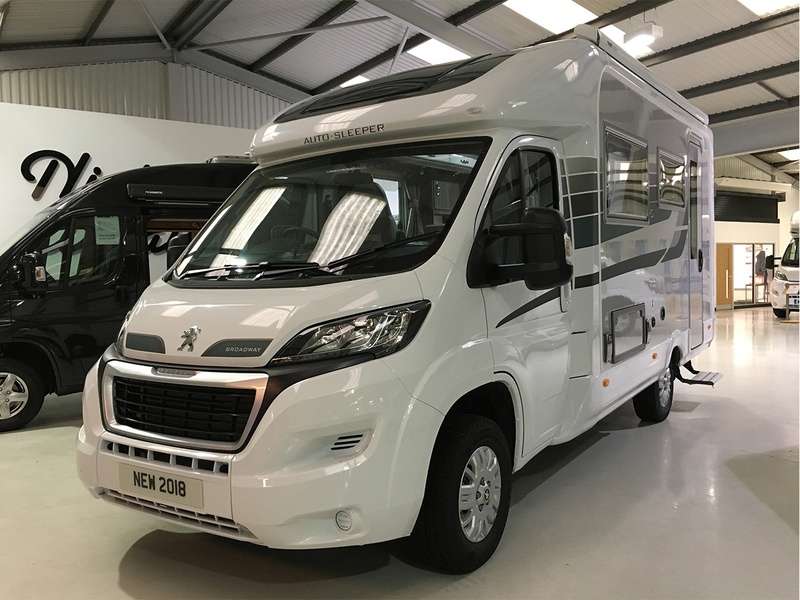 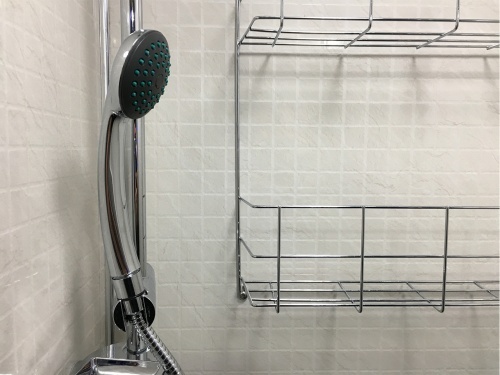 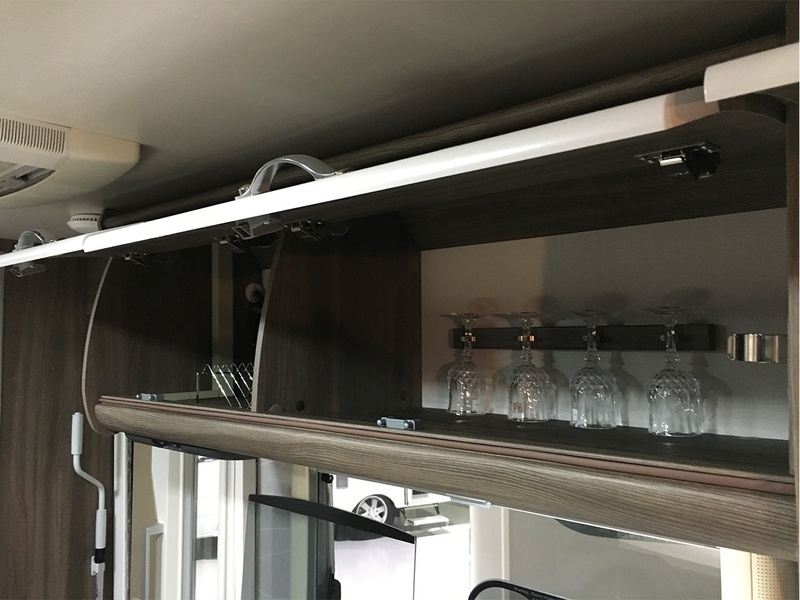 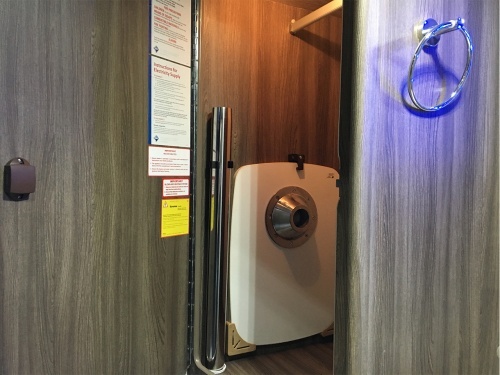 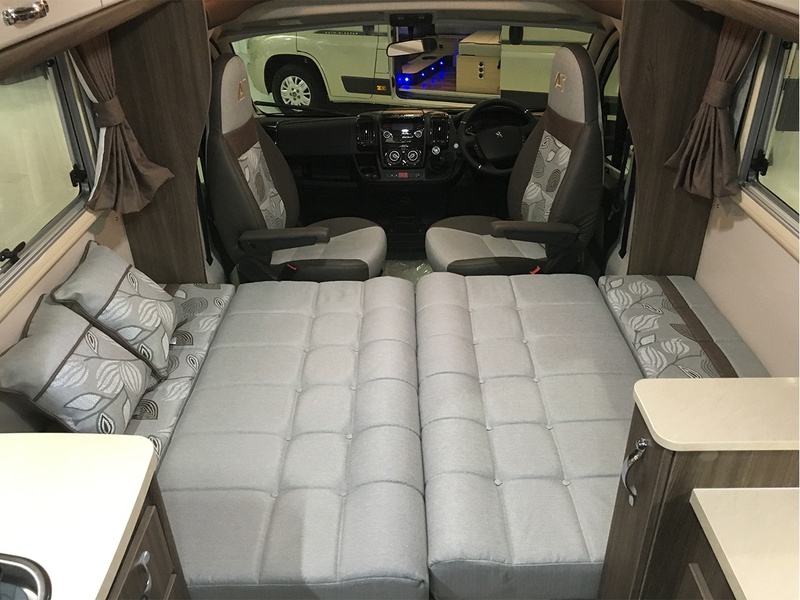 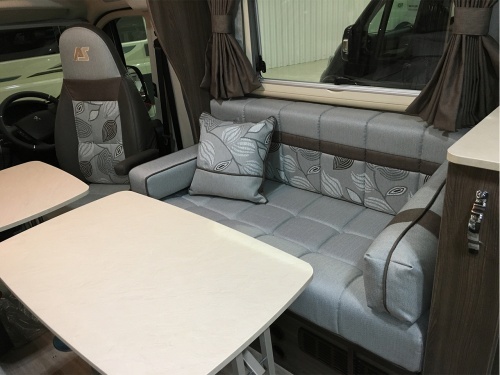 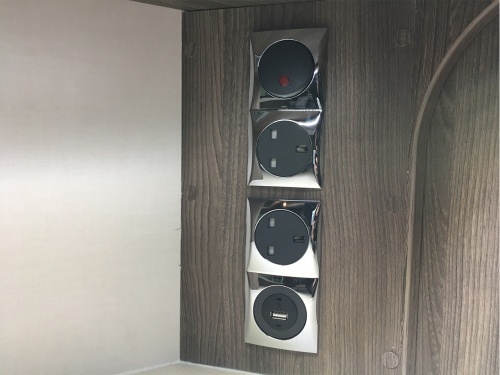 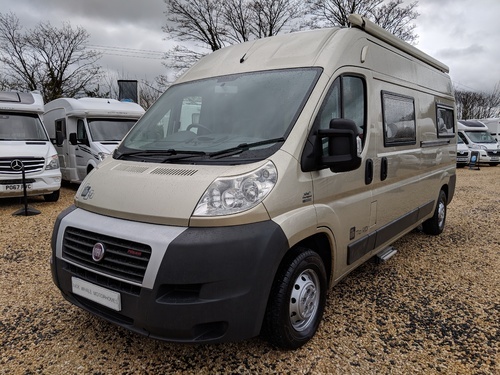 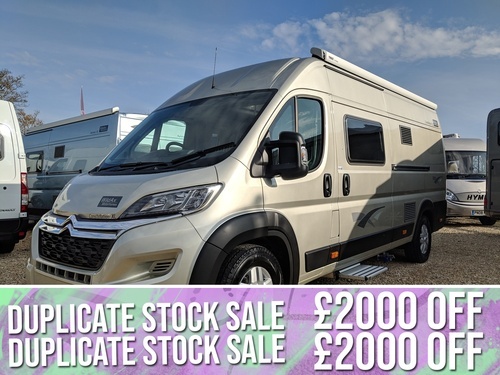 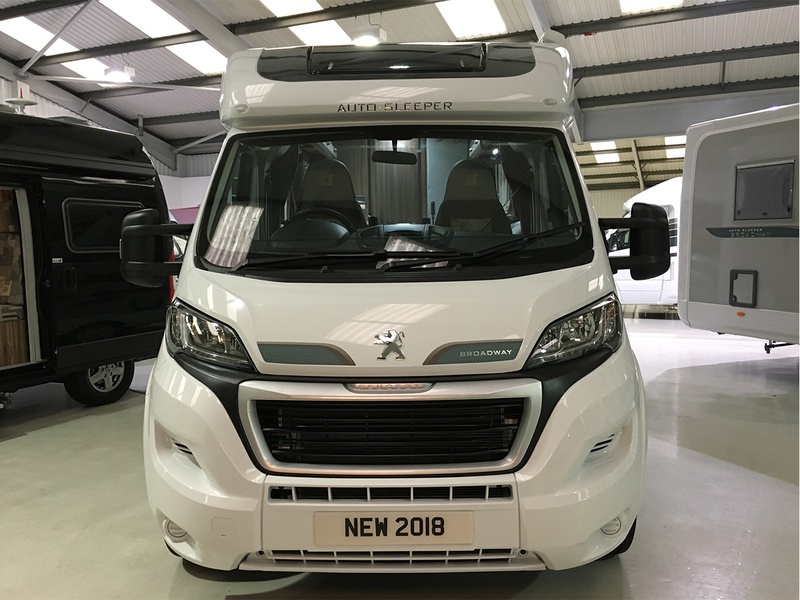 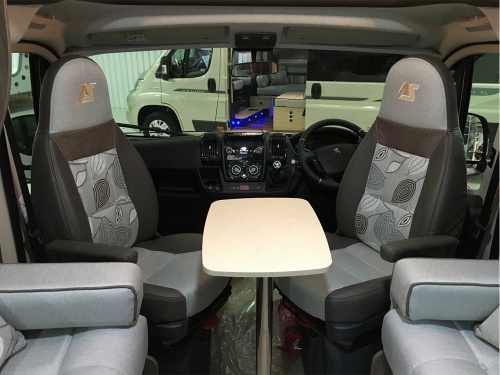 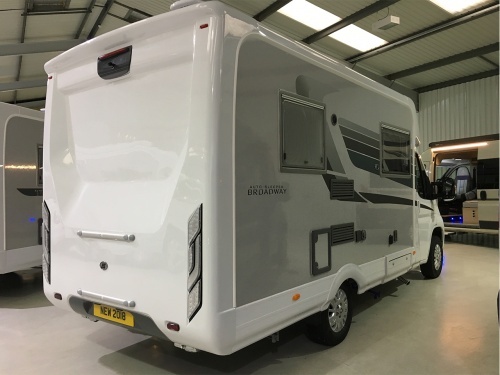 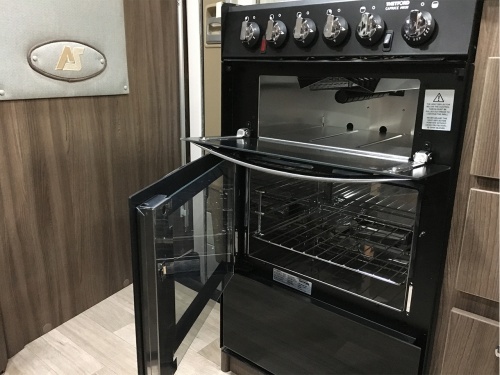 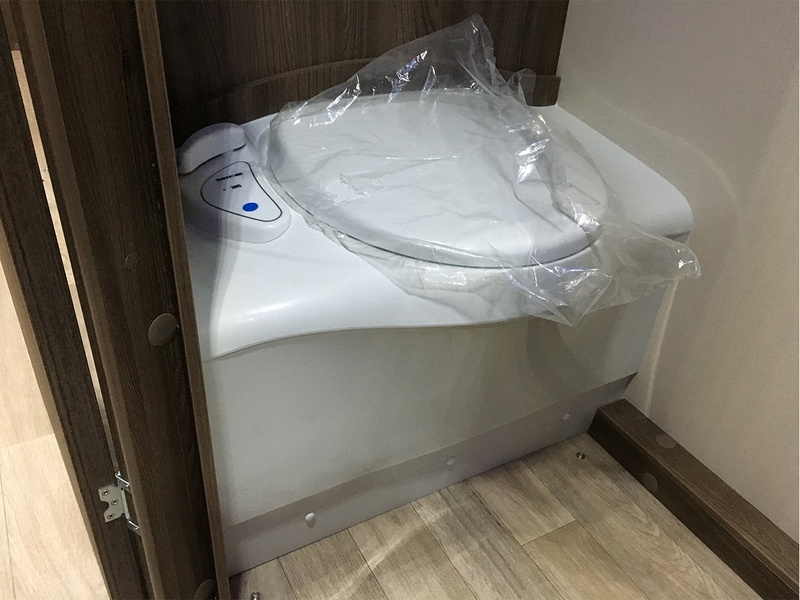 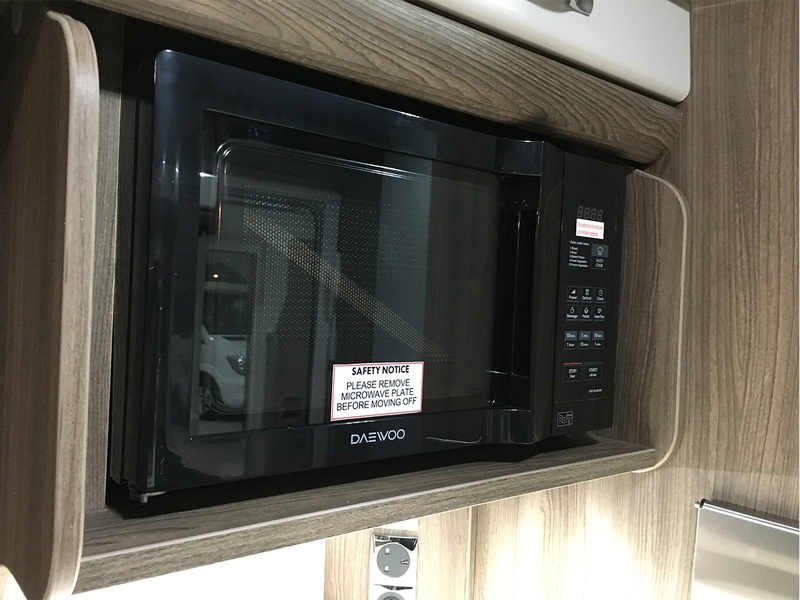 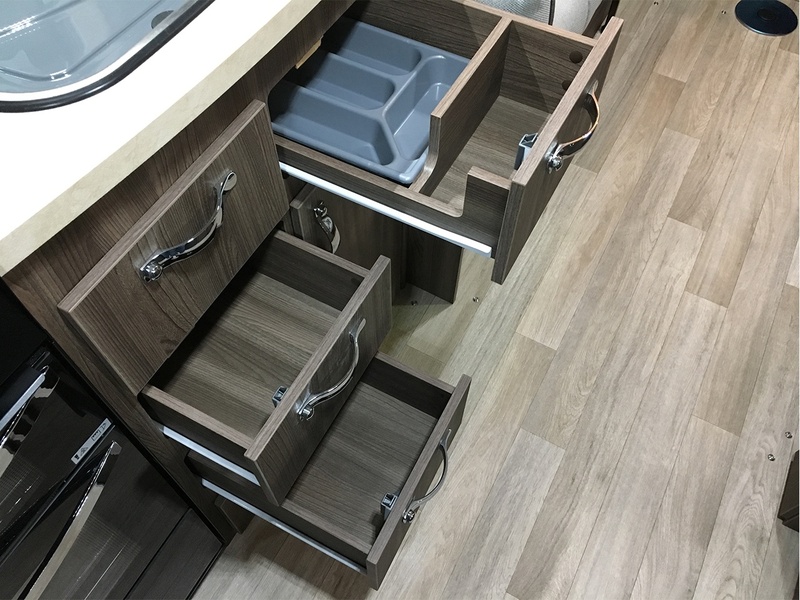 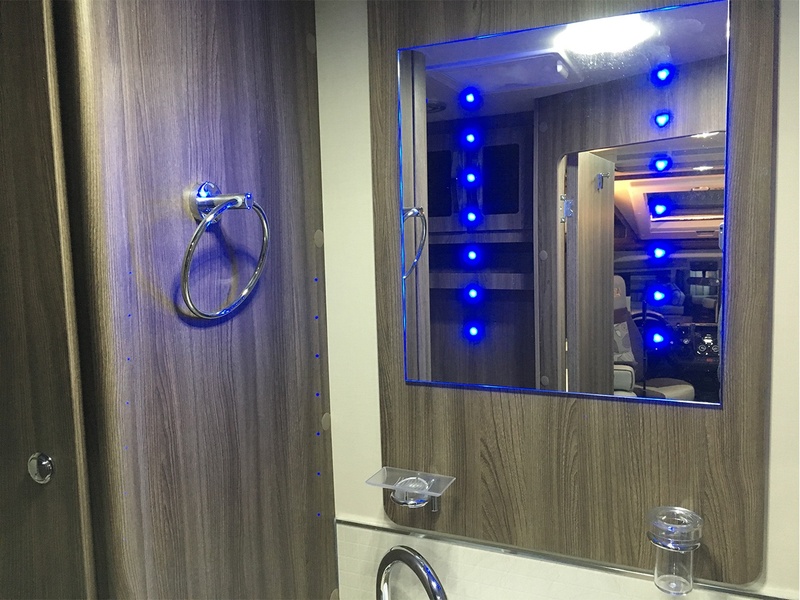 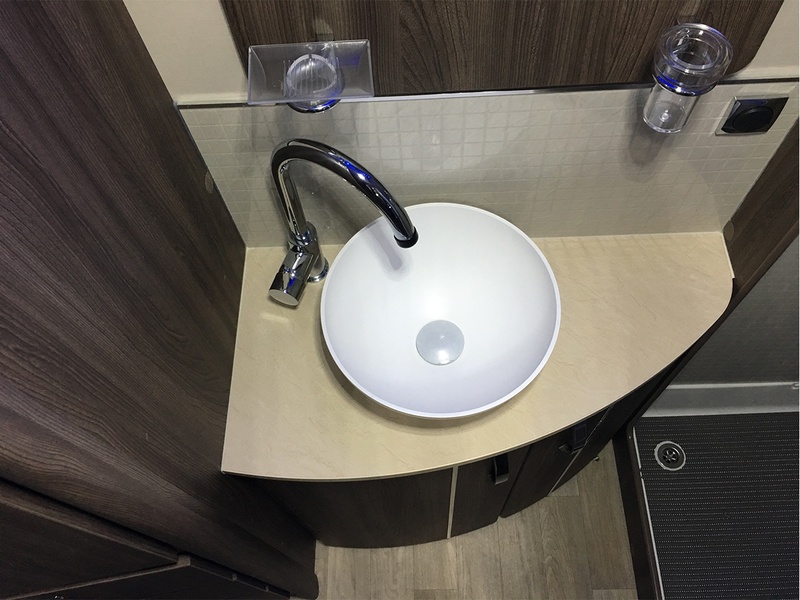 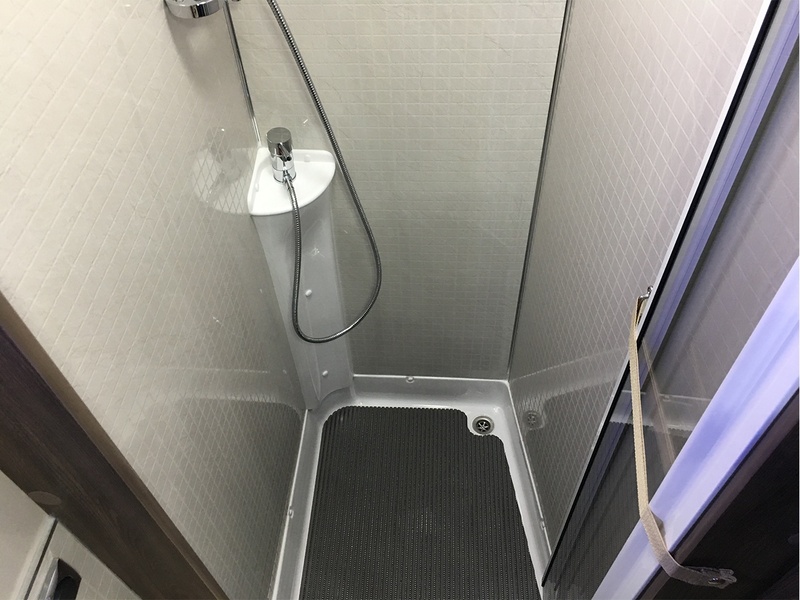 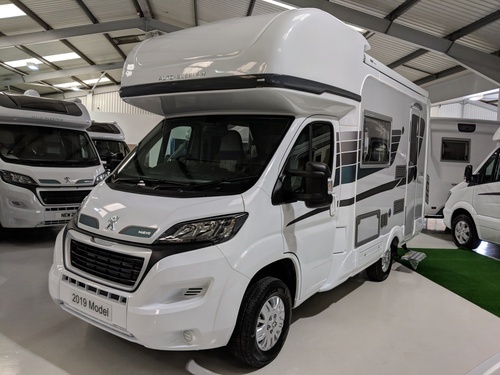 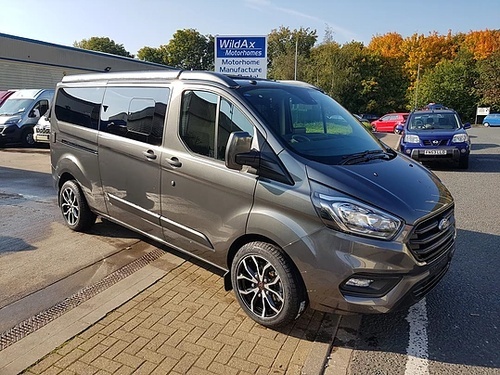 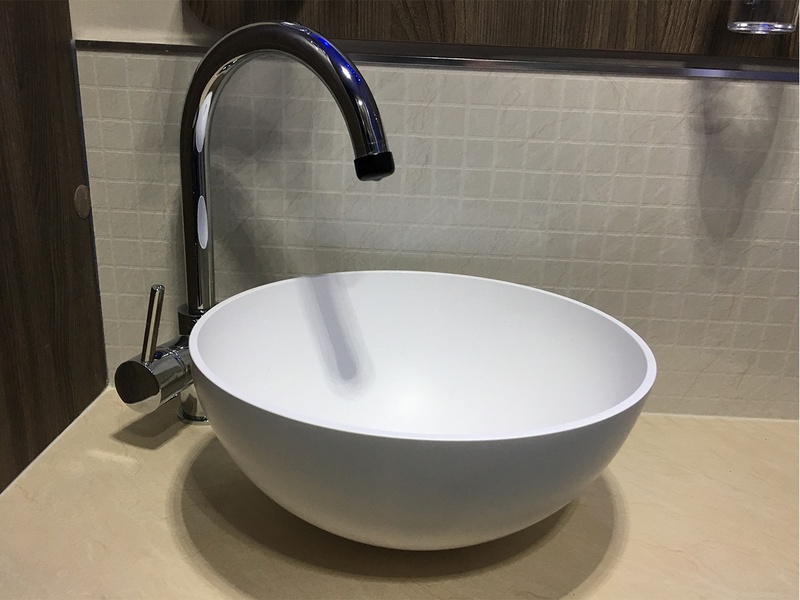 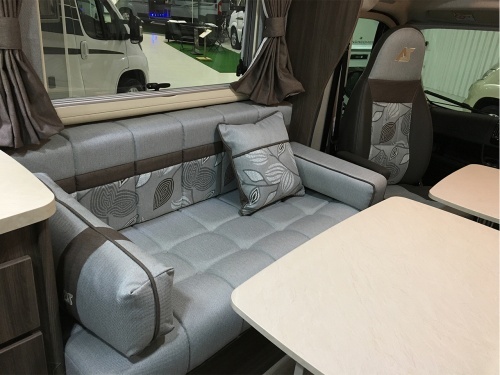 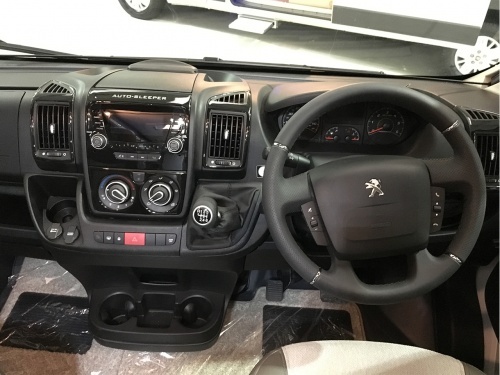 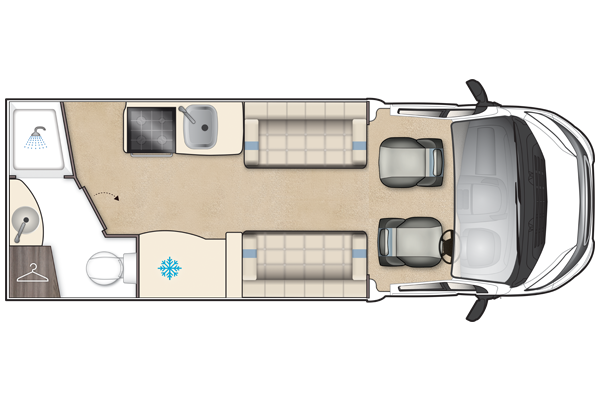 Epitomising pampered touring, the perfectly proportioned EB combines a superb feature washroom with a spacious lounge and kitchen without sacrificing practicality. 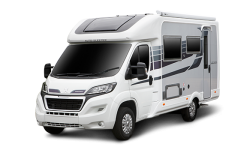 The EB retains all the functionality and Maneuverability of a medium wheel base chassis, delivering total freedom to explore comfortably.